Volvo’s new cars have little blue-and-yellow Swedish flags sewn into the edges of the seats. The headlights are shaped to evoke Thor’s hammer. Thomas Ingenlath is in a better position to see what makes Scandinavia tick than most. He’s from Germany but moved to Volvo’s headquarters in Gothenburg, Sweden, in 2012 after becoming vice-president of design. He is responsible for making Volvos feel Scandinavian. “If your children join a soccer club in Sweden, up to age 13 it’s not allowed to announce the winner of a match. They’re not counting the goals,” he says. One day, Ingenlath’s family went on holiday with friends from Germany. One of the little German boys had a tantrum during a casual game of soccer. But how do you translate that into the shape of a car, a roofline, a bumper? Volvo’s intention – and the intention of its new parent company, Geely – is to turn the brand into Sweden’s answer to Audi, BMW and Mercedes-Benz. To do that, they’ll need to not only make excellent luxury cars, but also to offer something unique, a reason to buy a Volvo over a German car. Scandinavian design, a Scandinavian sensibility, is what Volvo is really selling. 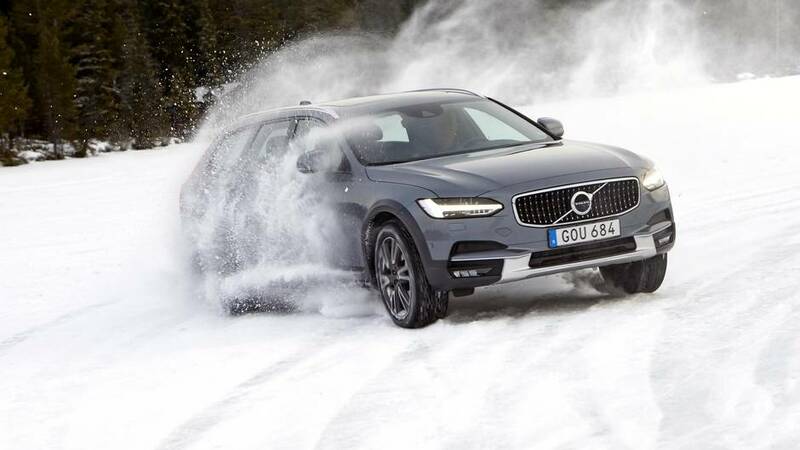 On a frozen lake near Åre, a ski resort 600 kilometres north of Stockholm, Volvo’s V90 CrossCountry slides gracefully sideways across the ice, drifting around a 180-degree corner, studded tires, scratching for grip, making a noise like TV static. A cloud of snow follows in its wake. It’s a mid-size car, as big as a Mercedes E-Class wagon. Not since the Concord has such a big thing moved so gracefully. The all-wheel-drive CrossCountry costs 416,580 SEK (£35,670), a figure that can climb to nearly 673,640 SEK (£57,680) if you tick all the options. The new V90 CrossCountry is a ruggedised version of Volvo’s lovely V90 wagon, which the company hopes will lure buyers away from SUVs and draw back the once-Volvo faithful, those nostalgic for the firm’s old station wagons. “Scandinavian design and craftsmanship meet true all-road, all-weather capability,” Volvo says of its new car. But what is Scandinavian design and craftsmanship exactly? And, does the car have any? It wasn’t until the 20th century when Sweden became a wealthy country. Following the First and Second World Wars, Sweden’s official policy of neutrality meant its industrial sector remained largely intact. “Swedish iron ores and newsprint, Swedish ball bearings and automobiles, Swedish furniture and freighters provided the impetus for the country’s emergence as a rich industrial nation. On the surplus generated by its export industries, the welfare state was built,” Robert L. Heilbroner wrote in a 1980 issue of The New York Review of Books. Volvo’s new design direction isn’t as aggressive as its rivals. The V90 doesn’t have angry lines or sharp creases. The headlights don’t scowl at other cars. The V90’s sheer scale and proportions are enough to make it feel luxurious. But the Swedish flags on the seats? “It’s not really considered cool to be nationalistic in Sweden. I would take an X-ACTO knife and cut it away if it was my car,” Koivisto says. This critique makes sense. Ingenlath started his career at Audi and, before joining Volvo, worked as VW Group’s director of design. The first Volvo concept cars unveiled under Ingenlath’s leadership had a more distinct Scandinavian style. Of course, concept cars can be more adventurous, but the cross-hatched fabric seats and wood-covered floors and pops of colour on the 2014 Concept Estate all seem like things that could have made it to production. The lounge of the Nobis Hotel is as clear a definition as any of what modern Scandinavian design looks like. The lounge is in the interior courtyard of a late-19th-century building in downtown Stockholm. The courtyard is six storeys high, topped with glass letting the cold blue winter light filter down into the lounge. The floor is marble, the walls off-white plaster with all original mouldings. The sofas, chairs and tables are carefully mismatched, as if collected piece-by-piece over time, like in a home. It’s messy, eccentric minimalism. A column of light from a 20-foot chandelier casts a warm glow on the lower half of the room. There are people on laptops, people meeting over coffee. It’s quiet. They’re dressed neatly in various shades of black. It’s almost too pretty to enter but, once inside, you don’t want to leave. 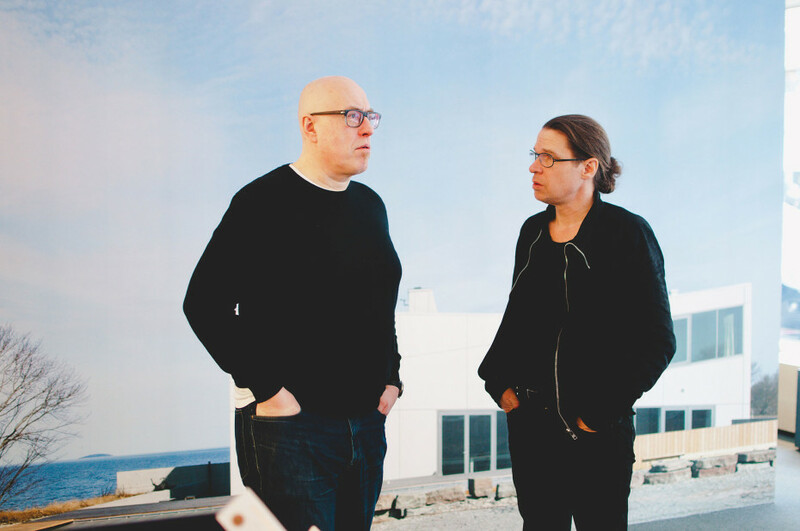 Claesson Koivisto Rune did the architecture and interior-design work. Leaving that hotel in downtown Stockholm and getting into the V90 CrossCountry, I think I’m imagining it when I find the cabin has an airy, openness reminiscent of the lounge. The car’s long roof is all glass; the side windows are tall. Driving west across Sweden in the middle of winter, the scenery is not unlike Ontario cottage country, with the road cutting through huge rolling rocks that have been blasted out of the way. Everything is cast in orange light before the sun goes down. It is genuinely beautiful. There’s a petrol station en route, full of Teslas plugged into Superchargers. Everyone drives the speed limit. Is it a stretch to tie the hygge-loving, uniquely stylish, consensus-building Swedish society to the way a car feels? Probably. Maybe I’ve watched too many Volvo ads featuring beautiful Scandinavian people driving across beautiful Scandinavian scenery. But, no, there is something to Volvo’s claim. Marketing only works if there’s truth behind it, and there is some truth to it here. New Volvos are Nordic in both design and temperament – and it’s not because of the flags on the seats. If a German car only has fun when it’s winning, a Swedish one enjoys the game. Volvo’s particular brand of luxury is cleaner, simpler, than its rivals, more in keeping with the Swedish preference for less-ostentatious finery. It’s not quite the difference between the Gustavian style and Louis XIV’s, but it’s along the same lines. There is, however, only some truth in this “Scandinavian design and craftsmanship” marketing. Volvo could have pushed the Scandinavian style much further. The 2014 Volvo Concept Estate shows you what that could have looked like. Niklas Ekstedt is thinking about buying a new car. The Michelin-starred restaurant that bears his name in Stockholm serves New Nordic Cuisine, as made famous by Noma in Copenhagen, but with a difference. At Ekstedt’s flagship restaurant, it’s about how you cook. Nearly every dish is cooked over an open wood fire in a cast-iron pan or smoked in the kitchen, just like his parents and grandparents did when he was a child in northern Sweden. He knows Volvo was recently bought by Chinese auto giant Geely. Can any car rightly claim to be German or Swedish or anything any more? It’s not like they’re made with locally sourced organic produce. Cars are hyperglobalized products. The V90 CrossCountry is assembled in Sweden. Some S90 models are assembled in China. Future models will be assembled at a new factory in the United States. It doesn’t matter that Volvo is backed by a Chinese company. With cars, it’s not how you cook – it’s what you cook. And what Volvo has managed – through both design and marketing – to cook up here is a genuine luxury car with hints of Scandinavia style. It’ll do well.